Starting the of week October 13th Ocean Premium Saline Nasal Spray on ale and with this $1.00 off ANY Ocean Nasal Saline Product it will be FREE! 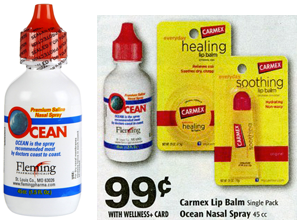 Hurry and print your coupons for FREE Ocean Premium Saline Nasal Spray at Rite Aid before they are all gone! Remember you can print this coupon twice!